High-end video cards like Nvidia’s GTX 980 Ti and AMD’s Radeon Fury X are what many gamers aspire to, but the fact they’re aspirational means they’re not what most gamers actually purchase. Spending several hundred dollars (or more) on a video card is never easy to justify. Humble but capable budget cards represent what the bulk of gamers actually use. Nvidia has a long history of producing excellent cards for around $200 that can be traced back to the 8800 GT, an affordable choice that was able to play many games of the era at 2,560 x 1,600 resolution (back then, 16:9 was not the go-to form factor). Yet the company has arguably struggled when forced to limbo its price lower. Its current entry-level card, the GTX 750 Ti, is now over a year old, and there’s a big hole in the company’s line-up between it and the $200 GTX 960. The GTX 950 fills that hole. With prices starting at $160, the card is Nvidia’s response to AMD’s recently released R7 370, a card that typically sells at an identical price. Unlike AMD, which re-brands and slashes the price of older GPUs to create budget offerings, Nvidia is using its latest architecture, known as Maxwell, to back the 950. Let’s see which strategy works best. In brief, the GTX 950 can be described as the GTX 960’s little brother. It is part of the second-generation Maxwell family, and in fact has the same basic GM206 GPU. The similarity is evident in several specifications. Both the 960 and 950 have 32 Render Output Units (ROPs), both have a 128-bit memory interface, both offer two gigabytes of GDDR5 memory, and both provide DirectX 12 feature level 12.1 support. The differences are what you’d expect when a new chip is derived from another, quicker component. Compared to the GTX 960, the number of CUDA cores has been cut from 1,024 to 768, texture units have dropped from 64 to 48, and the stock base clock speed has been reduced from 1,126MHz to 1,024MHz. While the amount of memory and width of the interface is identical to the GTX 960, the memory clock has pulled back from 7GHz to 6.6GHz. The impact of that is minimal; the GTX 960 quotes 112GB/s of memory bandwidth, while the GTX 950 serves up 105.6. As the specifications make clear, the GTX 950 is not a dramatic departure from previous Nvidia architectures. Nor does it need to be, since the 960 is only a few months old, and was the first card to offer Maxwell’s GM206 incarnation. The use of an efficient new chip means the GTX 950 demands minimal power. Nvidia recommends a 350-watt power supply, a full 100 watts less than the AMD Radeon R7 370. 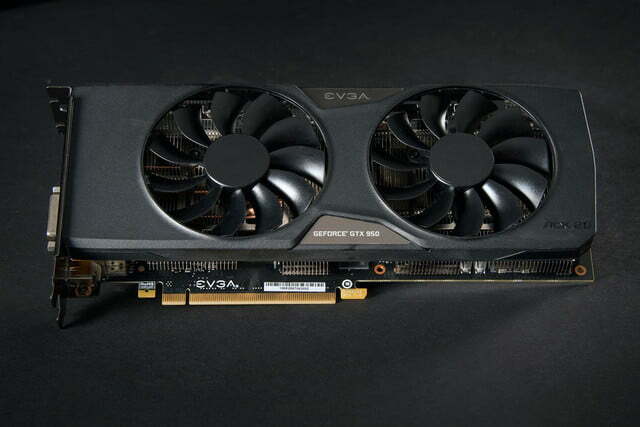 Our review is based on EVGA’s GeForce GTX 950 SSC ACX 2.0. This is a high-end, over-clocked version of the 950. The base clock of the GPU is 1,190MHz, up from the default 1,024MHz, and the maximum GPU Boost speed is 1,393MHz. 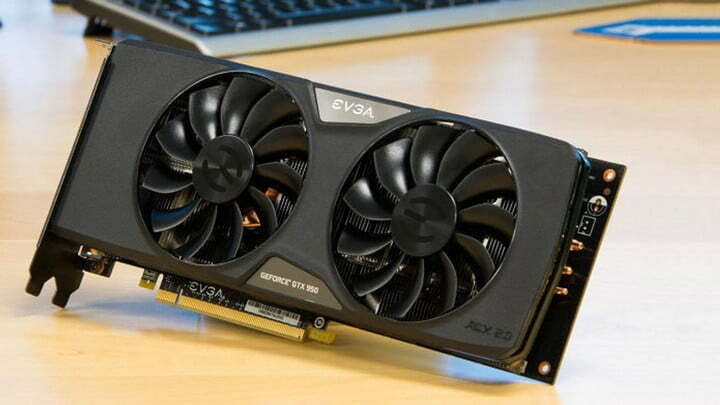 Unlike previous entry-level cards, the GTX 950 is quite large. 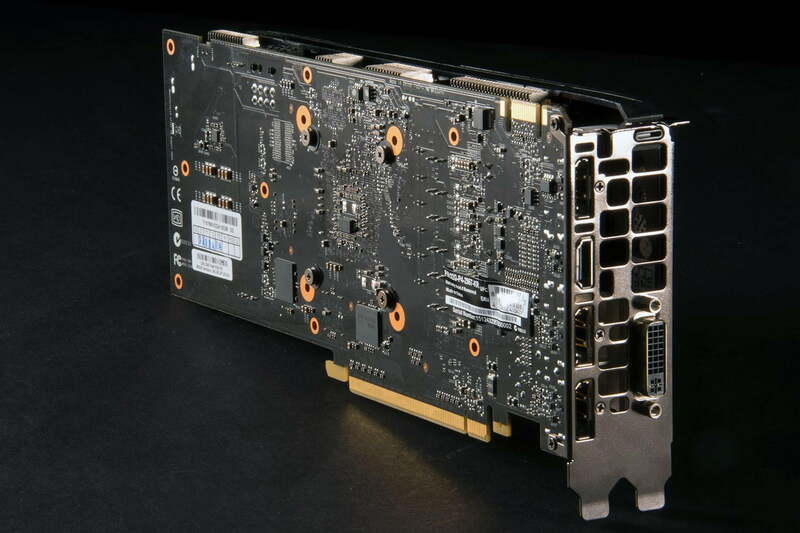 In fact, it’s the same size as the GTX 960, which itself is the same size as the GTX 980 Ti. Several years ago it was common for entry level cards to have a smaller form factor. The GTX 650 Ti, for example, is roughly half the size of the 950. Gamers will love the GTX 950’s price and 1080p performance. 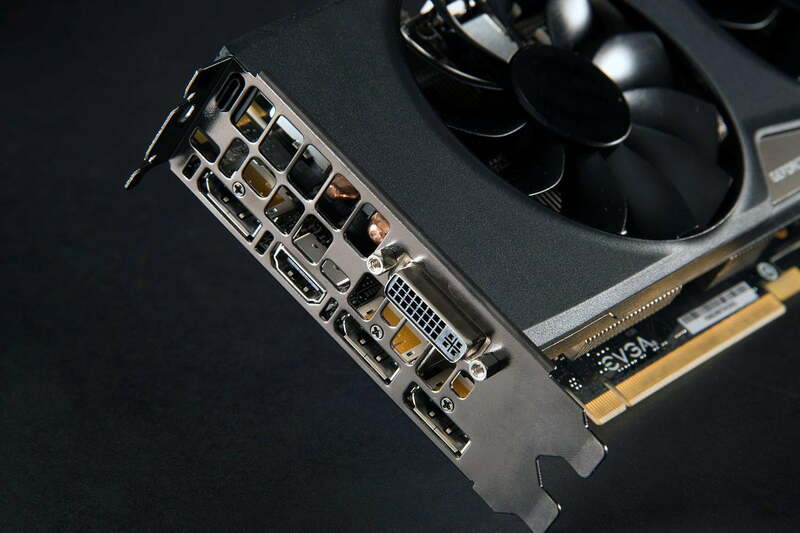 The reason for modern, super-sized cards like the GTX 950 depends on your attitude. Nvidia and the card makers it partners with usually cite noise as the prime culprit, as a larger card means a better cooler. EVGA’s GTX 950 certainly makes that seem a reasonable argument, as it includes two very large fans, certainly well above what’s needed to cool this power-sipping GPU. The EVGA card also remains passively cooled at GPU temperatures below 60 Celsius, which in practice means the fans almost never spin up when a game isn’t loaded. More cynical observers might accuse Nvidia and its partners of cutting costs by using similar boards for the entire range of 900-series GPUs. That argument also likely has merit, as it does appear Nvidia’s recent entries share a standardized format. The edge of that criticism is dulled, however, by the Radeon R7 370, which is only an inch shorter and otherwise similar in size. Large card are just more common than they were a couple years ago. If you want a small card you’ll have to opt for a Radeon R7 360, a GTX 750 Ti, or a custom-board version of one of the available mid-range cards. That’ll probably include the GTX 950, though at the time of publication I’m not aware of any half-sized versions. Nvidia’s targeting an MSRP of $160 with the GTX 950. That makes its competition clear, as most Radeon R7 370 cards sell at an identical price. The green team is also talking up the 950 as a card specifically for MOBA gamers, citing performance and latency improvements. Obviously, Nvidia thinks it has the quickest card at every price point, but the company does not rely on speed alone to justify its offerings. 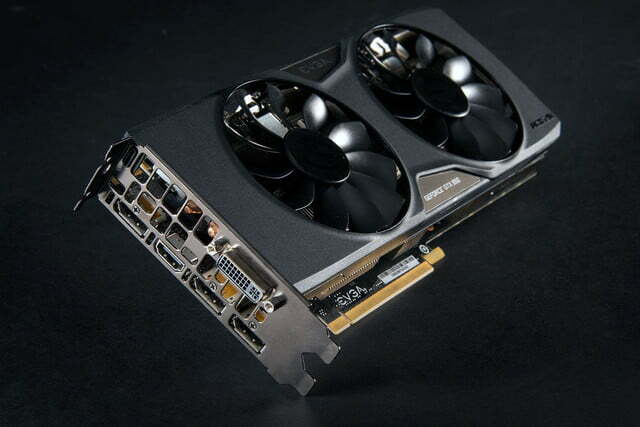 It markets GeForce as a platform, and to back that up it cites numerous value-added features. These include its GeForce Experience driver and video card management software, ShadowPlay game recording, in-home GameStream, G-Sync, SLI, and Dynamic Super Resolution, among others. We’ve seen these features before, but Nvidia is touting a new addition to GameStream; co-op play. This will let gamers with a GTX 650 (or better) play GameStream with friends over the Internet. We didn’t have a chance to test it, but it’s an intriguing option. Nvidia’s strategy of adding small features, which by themselves might seem insignificant, has paid off over the years. The green team now has a long list of extras, most of which AMD has no answer to. There are two finals points worth note. Like the GTX 960, the 950 offers HEVC hardware decoding, so it breezes through 4K h.265 video. It also offers support for 5K resolution on up to four monitors. These traits may make the GTX 950 of interest to workstation users wanting an inexpensive, low-power card that can handle a many-monitor PC. Our test system has an Intel Core i7-6700K, eight gigabytes of DDR4 2400MHz memory from Corsair, an Asus Z170-Deluxe motherboard, and an Intel 730 Series 480GB hard drive. All testing was conducted in Windows 10 with the latest drivers from AMD and Nvidia, respectively. In brief, the GTX 950 can be described as the GTX 960’s little brother. 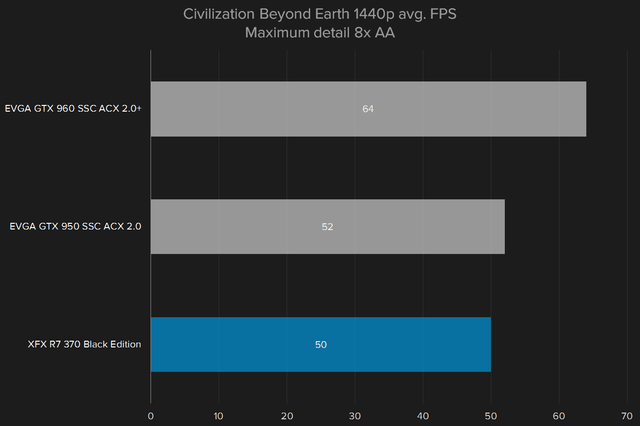 Digital Trend’s test suite currently includes Blizzard’s Heroes of the Storm, Firaxis’ Civilization Beyond Earth, DICE’s Battlefield 4, and Rockstar’s Grand Theft Auto V. We test at both entry-level “low” settings, and maximum or near-maximum settings. Only the second are reported in the graphs below. Testing was conducted at 1080p and 1440p resolution. We also use 3DMark’s Sky Diver and Fire Strike, which we run at default settings. The Radeon R7 370 we used for reference in this review is an XFX Radeon R7 370 Black Edition that retails for $170, while the GTX 960 was EVGA’s SuperSC ACX 2.0+, which typically sells for around $200. Both models are overclocked. While that may seem strange, OC’ed video cards have become common, and typically sell at a premium of just $10 or $20 dollars over the stock edition. Our testing begins with FutureMark’s 3DMark, a comprehensive synthetic benchmark that provides a good general indication of performance. It’s simple to understand – the higher the score, the better. We see a clear win here for the GTX 950. It doesn’t blow away the Radeon, but it leads by a margin of about 12 percent in both benchmarks. The GTX 960 isn’t as cut-and-dry. 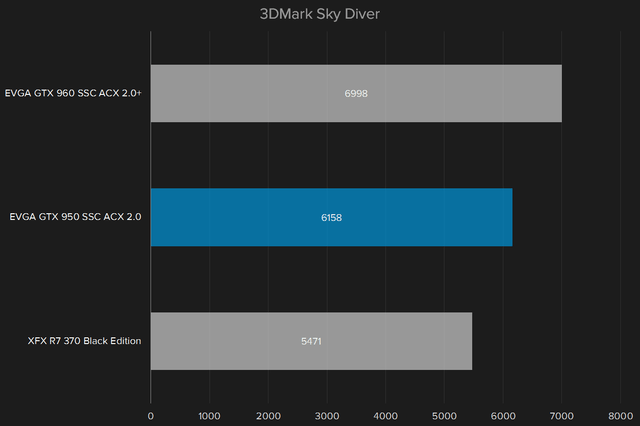 In the less demanding Sky Diver benchmark, the 960 is barely quicker than the 950. In Fire Strike, though, the 960 is about 13 percent quicker than its little brother. Now it’s time to dive into the 1080p results. While we also tested at 1440p, these results are the main attraction. Most gamers have a 1080p monitor, and the GTX 950 is clearly designed for this large base of users. 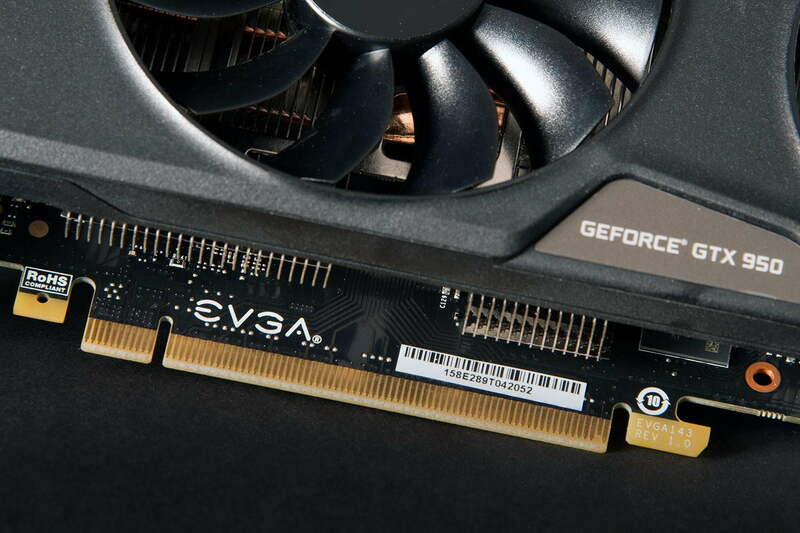 Of the four games we tested, the GTX 950 wins in three. 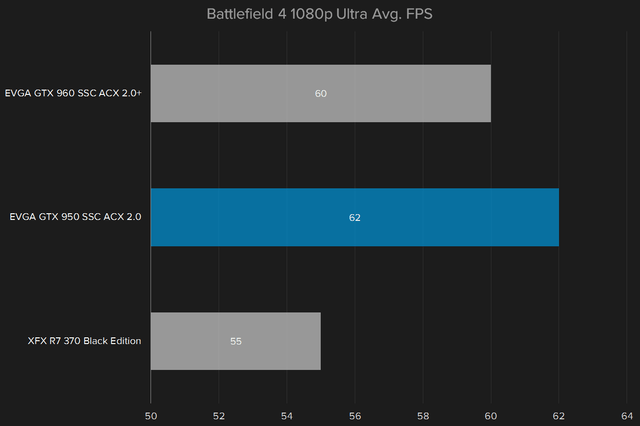 Its largest victories come in Battlefield 4 and Grand Theft Auto V, where the 950 is 12 percent and 10 percent quicker than the R7, respectively. 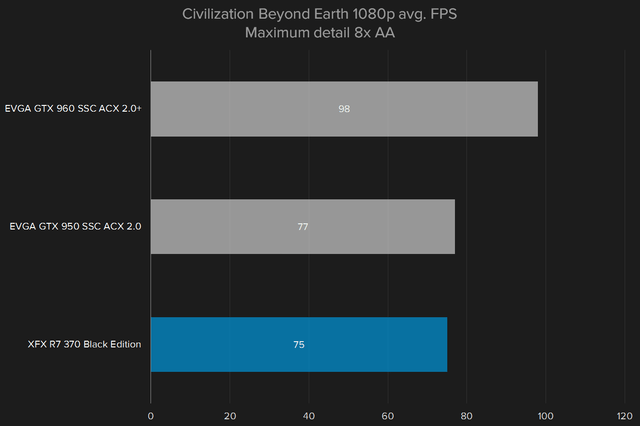 In Civilization Beyond Earth the Nvidia card still wins, but by a hair. 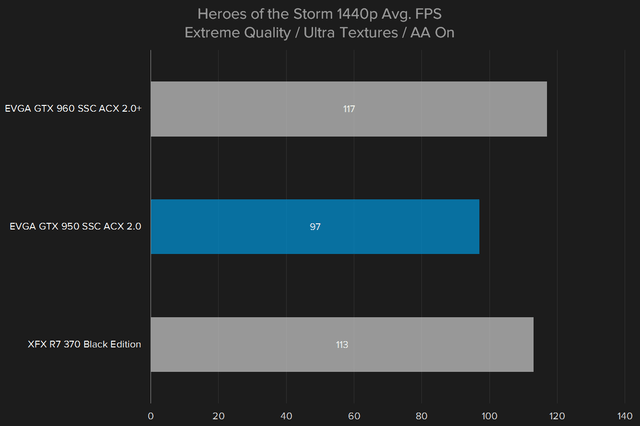 Heroes of the Storm is the only game where AMD wins, and it wins by a decisive 17-percent margin, defeating even the GTX 960. Speaking of which, in an odd twist, we found the 960 came in slightly behind the 950 in both Heroes of the Storm and Battlefield 4. That was not expected, but we re-tested the 960 several times to confirm, and received the same result. The results also agree with the performance extracted from the card during an earlier review. Critically, the GTX 950 proved itself capable of achieving 60 FPS in all four games tested with detail at maximum and resolution at 1080p. Battlefield 4 proved the most challenging, followed closely by Grand Theft Auto V, and in both cases the minimum framerate did fall well below 60 FPS. Still, the experience was generally smooth. I’d have no complaints about using the GTX 950 in my own system if I enjoyed these titles regularly. Clearly, 1080p is the GTX 950’s sweet spot. But what if you want to push your rig with a 1440p monitor? 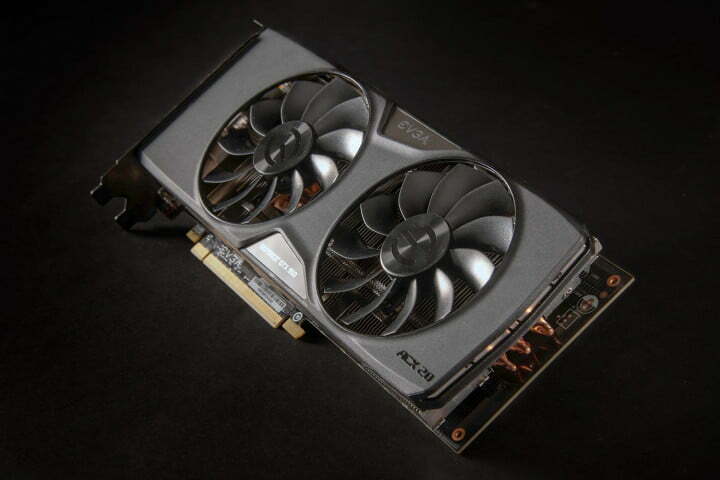 Does the GTX 950 still lead its Radeon competition? The battle between the R7 370 and GTX 950 isn’t altered by bumping up the resolution. Each continues to lead in the same games as before, by a roughly equivalent percentage. 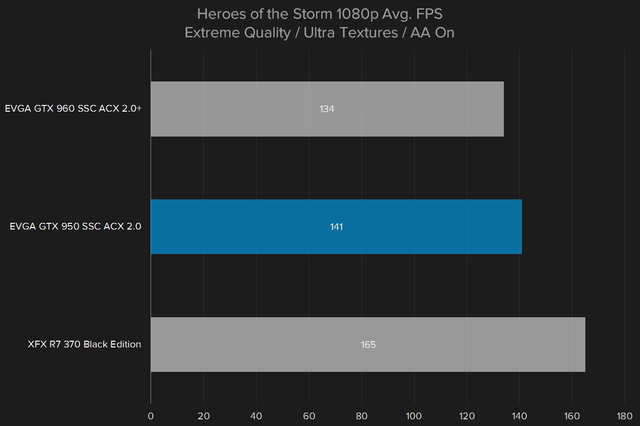 Nvidia’s own GTX 960 is actually the card that makes moves, as it re-gains the performance lead from the R7 370 in Heroes of the Storm, and from the 950 in Battlefield 4. 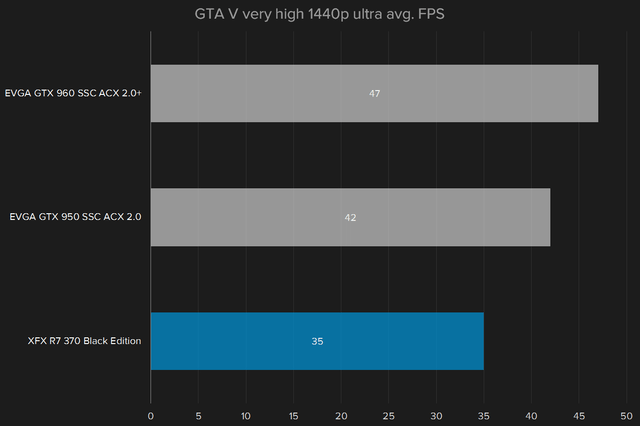 Playability is a bit of an issue at 1440p in the most demanding games, Battlefield 4 and Grand Theft Auto V. Both show an average framerate of around 40 FPS, and both have minimum framerates that dip well below 30 FPS. But remember what Nvidia said about MOBA performance? Its decision to highlight that look warranted, as Heroes of the Storm runs at near 100 FPS even with all the details turned on. I wouldn’t recommend buying the GTX 950 if you have a 1440p monitor and enjoy a wide variety of games. But if you play only a few, less demanding titles, the card can work. Power draw is an important part of the GTX 950’s story. Though it defeats the R7 370 in most benchmarks, it draws far less power. At idle our Skylake-powered test rig consumed only 55 watts with the 950 installed. That’s about half the 117 watts it needed with the AMD Radeon R7 370. Load testing resulted in less deviance. With the GTX 950 installed we recorded 167 watts of draw, compared to 189 watts with the R7 370. A 20-watt difference isn’t going to show up on your power bill, but Nvidia clearly wins in efficiency. The GTX 960 was a solid entry into the main-range gaming market. It proved capable of handling anything at 1080p and 60 frames per second, even at the highest detail settings, and it offered a wide range of Nvidia-specific features, most notably GeForce Experience, G-Sync, and GameStream. Better still, the 960 was quiet and sipped power. It was everything we wanted from an inexpensive video card. We can say the same about the GTX 950 – except it’s $30 to $40 less. Entry-level versions only cost $160, and our overclocked model retails at $170. 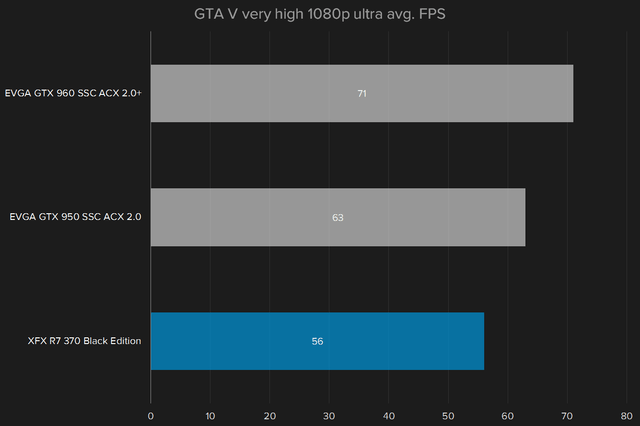 Yes, the GTX 960 is a quicker card, but when compared to the 950 its position is a bit awkward. The little brother can play almost anything at 1080p and 60 FPS, just like its sibling. But neither card can handle games at 1440p and 60 FPS unless quite a few details are turned off. AMD’s Radeon R7 370 gives a good account for itself from a performance perspective. 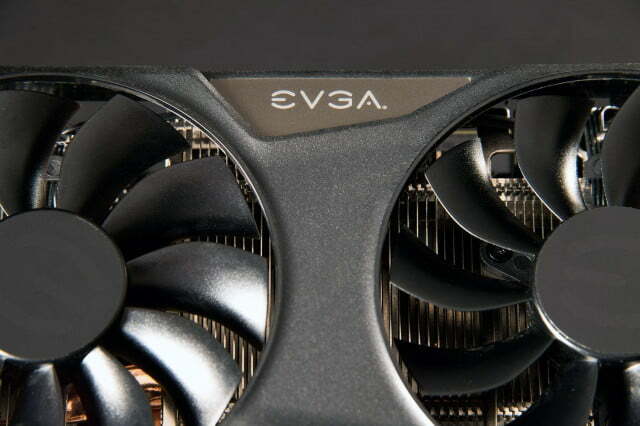 While generally slower than the GTX 950, it’s often nipping at Nvidia’s heels. It does so on a much steeper power budget, however, and with fewer platform features. That makes it hard to recommend the R7 370, at least so long as the card is priced similarly to the 950. The GTX 950 is not a powerhouse. It isn’t going to wow your friends, play games at 4K resolution, or handle the latest-and-greatest games a half-decade from now. What it does do, though, is play most modern games smoothly at 1080p resolution while making barely a sound and asking little of your budget. All you really need to know is this; the GTX 950 is the new gold standard for budget gaming cards.